The cyber security world had a huge year in 2017, for better or worse. The technology behind cyber security software has never been stronger or more secure, but even then several worldwide hacks that affected major corporations made front page news. Getting or guessing someone’s password is the most traditional way to hack. It’s as classic as apple pie. It’s also going to change the most in 2018 – and by change we mean disappear. We’ve seen this already in phones that allow face or fingerprint scans to gain access in lieu of the standard numeric code. Apple’s Face ID for the iPhone is a major example, and once that catches on then everyone else will follow suit. We’ve also seen applications use two-factor authentication to prevent a hacker from accessing your private information from an outside computer. This trend is going to continue, and as Forbes outlines, as these biometric technologies become increasingly accurate it will become the norm over the traditional written out password. It’s not rocket science – it’s going to be much harder for a hacker to get past face scanning security than guessing your first pet’s name. It’s common sense that as cloud applications become more widely used, as will almost certainly be the case in 2018, then the security of the cloud will be put under a bigger microscope. As more businesses store their data in the cloud, hackers will ramp up their efforts to find ways to attack it and break through. Cloud security has improved leaps and bounds throughout the years, especially recently, and the investments towards that end will only increase in the future. Cloud computing will soon become the norm in data storage, and the investment to making sure it is the most secure option will reflect that. We’ve already covered how artificial intelligence will affect the IT Services business model in the very near future, but we believe it is worth reiterating how AI will be a major boon in cyber security. Even with the improvements in cyber security, we are still limited as humans in what we can do. We need sleep, we make errors from time to time, and no IT company has the manpower to be able to monitor and prevent every single threat or new exploit that’s out there. However, machines capable of learning and adapting constantly monitoring your network for any threats is an absolute game changer for cyber security. Once AI is able to track down and alert, or even prevent, a cyber-attack, that will cover up for any limitations IT service businesses currently have. 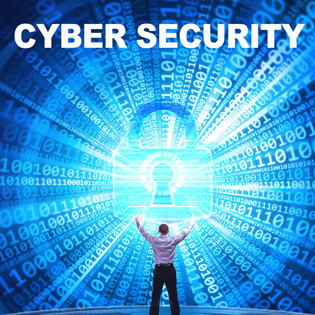 To learn more about cyber security and where it’s going in 2018, you can contact TOSS C3 24/7 at 1-888-884-8677.